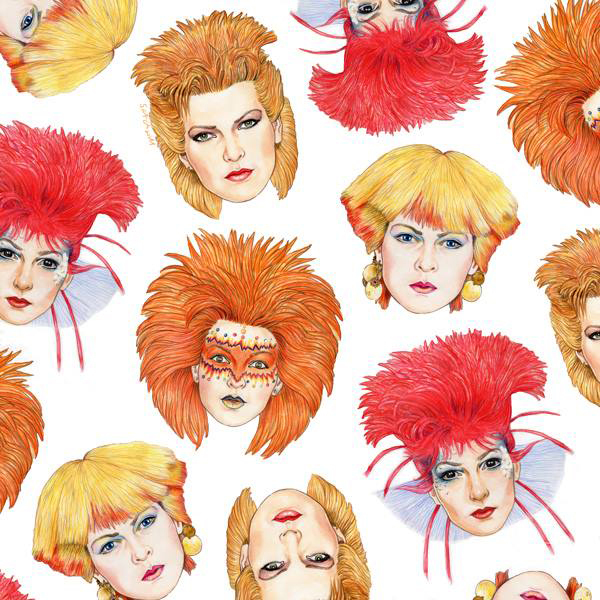 Moreaux’s take on some of Toyah’s most amazing early 1980s make-up looks. 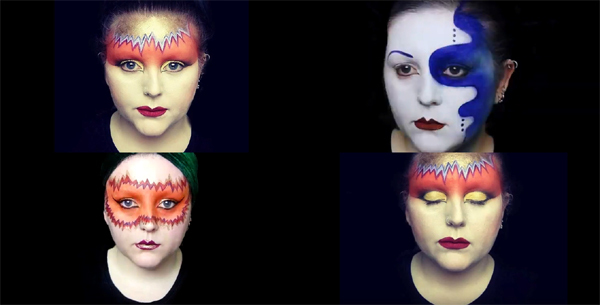 View her fantastic Toyah inspired creations via her video upload at You Tube. 22.09.1983. Simon Bates and Mike Read present the pop chart programme, first broadcast in September 1983. Featuring Toyah Willcox, David Bowie, Nick Heyward, The Alarm, Howard Jones and Hot Chocolate. • Visit the BBC Top Of The Pops website. 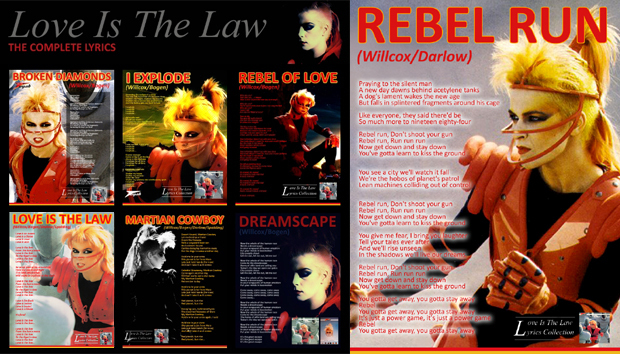 Click below for Dreamscape’s Rebel Run (and other Love Is The Law) lyrics. 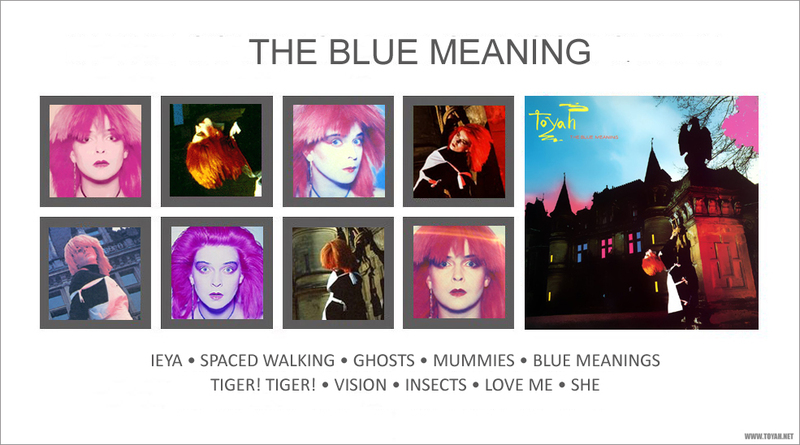 Dreamscaping with Toyah @ 60! 2018 is a big deal – This year Toyah celebrates the landmark event of turning 60, on 18th May. Not only that, this year is also the 40th anniversary of Toyah first making music. Ten years ago I had a blast counting down to and celebrating Toyah’s fantastic 50th and hope to share some celebratory posts in the build up to Toyah’s 60th in just over two month’s time. Toyah’s official website and social media spaces are also celebrating #Toyah60 with special content and Toyah memories, career achievements and highlights. 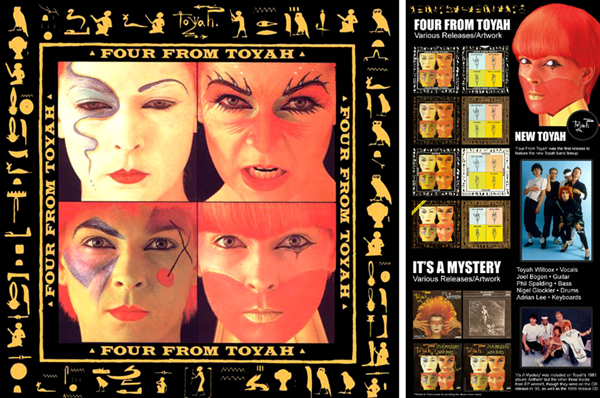 Click below to view Dreamscape’s 2011 30th Anniversary feature on the iconic EP, and browse our sporadic Four From Toyah news posts - from 2012 onwards (go further back in time at our News Archive). Read full transcripts of a selection of Toyah’s recent BBC radio interviews at The Toyah Willcox Interview Archive. Explore the site for further Toyah interviews, content and resources too. 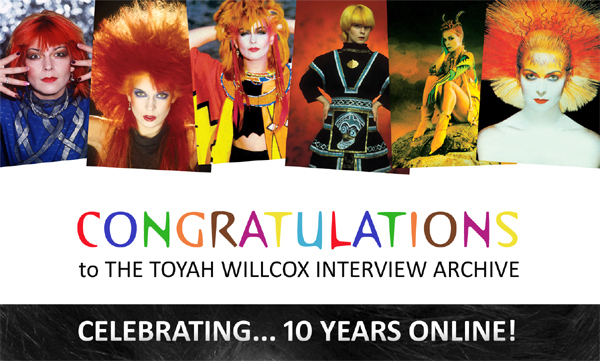 The Toyah Willcox Interview Archive is 10! 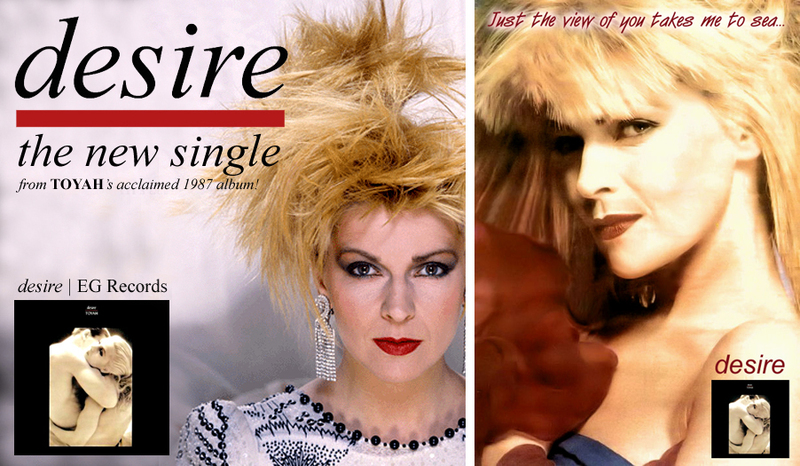 There are transcripts of a few recent Toyah radio and TV interviews now online at The Toyah Willcox Interview Archive, including Sky High Radio, BBC Radio Wiltshire and Needle Time from Vintage TV. Click below to get reading. 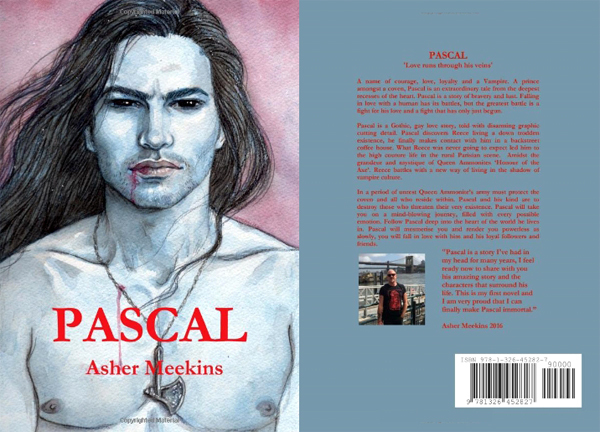 Longtime Toyah fan Asher Meekins has penned his debut novel, Pascal, a dark gothic horror story. The author of 2014′s Asher’s Angel has self published Pascal and the book is available now at Amazon in print paperback or for Kindle. The cover art is by Mark Satchwill, another longtime Toyah fan. Click below for further info or to buy the book. 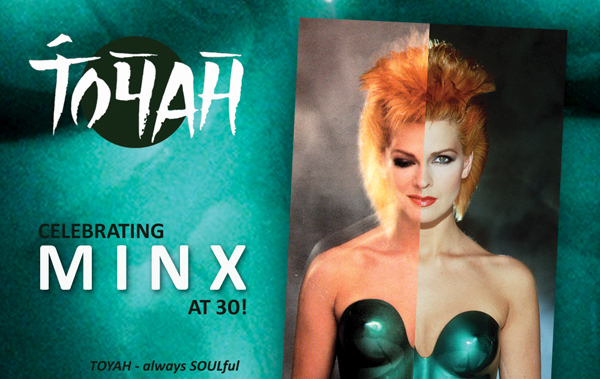 MINX at 30: SOULful Toyah! 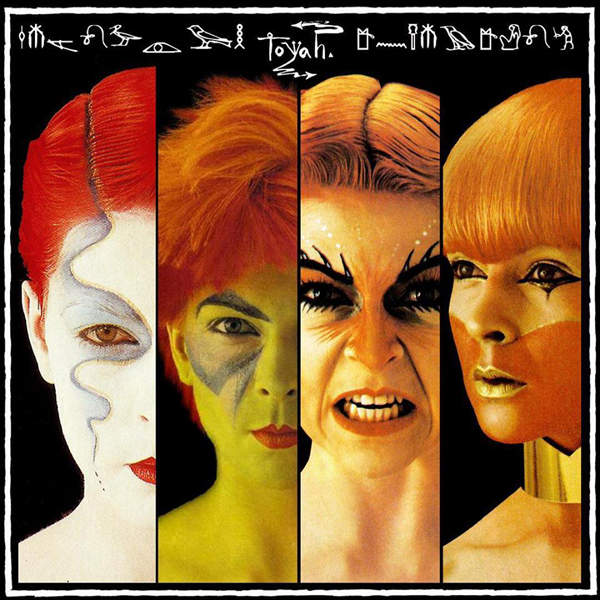 Celebrating the forthcoming 30th anniversary of the release of Toyah’s debut solo album MINX. View a larger version of Dreamscape’s fan art by clicking on it and another image here. Full transcripts of two recent Toyah interviews are now available to read at The Toyah Willcox Interview Archive. Severn FM’s The Encyclopaedia of Rock radio appearance, with Toyah and Bill Rieflin talking about The Humans and the Telling Strange Tales tour, and Toyah guesting on ITV’s Lorraine, again discussing The Humans, and much more. Click below to visit the website. More of the recent radio interviews with Toyah have been converted to text articles over at The Toyah Willcox Interview Archive. Click below visit the website. There have been a number of radio interviews with Toyah over the last few weeks. Some have been converted to text articles over at The Toyah Willcox Interview Archive, with more to follow. Click below to read the transcripts. 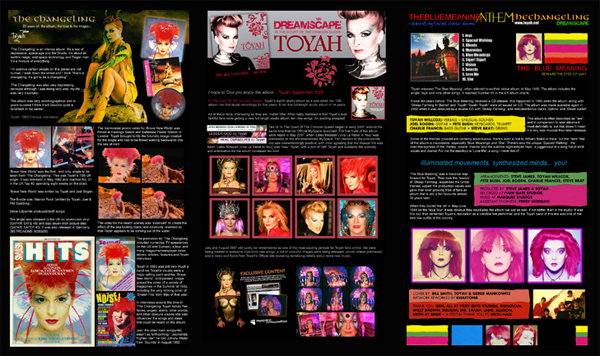 The other three mock “Q Special Edition” Toyah magazine covers Andy designed for my birthday. Just amazing! One day perhaps something like this may really happen. Thanks again to Andy and I’d like to dedicate these to Lärwi, another great friend to me and this website (thanks for the pressie & card Lärwi x). Click below to view larger versions of these covers.